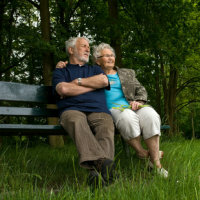 First Community Credit Union has a special package of benefits for members 55 years and better. Members Choice Club is exclusively designed for mature people with a zest for life, like you! It is our pleasure to invite you to become a member of our Member's Choice Club and start enjoying a wide variety of perks and benefits. You'll be amazed at what your financial dollars invested with FCCU will do for you. First Community Credit Union is planning fun activities at each of our branch locations this year, so be sure to check out the Event Schedule!